Kim Kardashian West is upping the glamour stakes this holiday season. 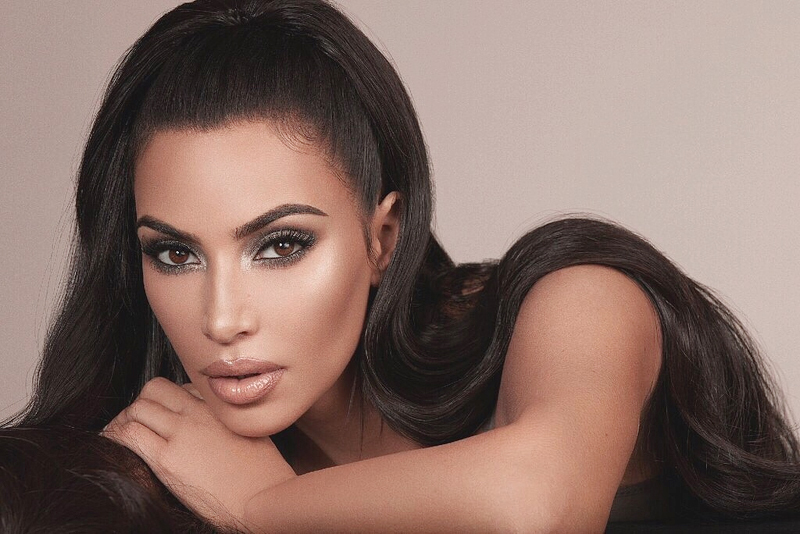 The reality TV star and makeup mogul has unveiled a bumper cosmetics collection via her KKW Beauty brand, dubbed ‘The Glam Bible Smokey Volume I', which the label says contains the star's "must have essentials." The series, which is set to launch on November 23, features a brand new six-pan eyeshadow palette including both matte and metallic shades for creating the perfect smokey eye. There is also a ‘Crème Eye Liner', a mascara, a ‘Crème Lip Liner', two ‘Crème Lipsticks', a gloss, a blusher, a highlighter and a set of false eyelashes. The entire kit will retail for $150. Kardashian took to Instagram to tease the collection herself, telling her 120 million followers that the kit features "the ultimate glam essentials for a complete smokey look I swear by!" The launch comes at a busy time for the KKW Beauty brand, which has dropped several high-profile products recently, such as a dazzling ‘Flashing Lights' series that Kardashian unveiled last month to mark her 38th birthday. September saw her release a ‘Cherry Blossom' line, which was inspired by Kardashian's daughter Chicago's baby shower, and July saw the debut of her ‘Classic Collection,' which focused on sultry neutral shades in matte and metallic finishes. Meanwhile, her fragrance brand KKW Fragrance is also going from strength to strength, with the star announcing that it will be stocked in Ulta Beauty stores across the US from November 25.